The truth is that when it comes to bedroom storage ideas, having success is all a case of being willing to get creative. Are you looking around your bedroom and panicking because there just isn’t enough space? Creating the right storage ideas for bedrooms is possible and we assure you that there is no need to panic. We take great pride in creating beautiful bedrooms, with unique bedroom storage ideas and bedroom colour ideas. We want to make your bedroom a true sanctuary and every bedroom requires adequate bedroom storage ideas. You don’t want to end up living surrounded by clutter and mess, that is far from ideal. The issue is, of course, that not every bedroom comes with adequate storage space integrated into it. On that note, below are seven bedroom storage ideas. These are ideal for ensuring that you have adequate storage space in your bedroom and don’t have to live in mess and clutter. Want a simple way to add additional storage space to your bedroom? Avoid taking up any precious floor or wall space by installing high shelves just below the ceiling. Not only do these shelves offer an incredible form of extra storage, but they can also add a little something extra to your bedroom. Particularly if they are utilised well and not filled with too much clutter. The key to storage success in any room is utilising every inch of space. What area is less used than the 12-inches below your bedroom ceiling? Got a spare corner of the room that has little going on in it and too many clothes? Install a wall-mounted clothing rail or clothes rack here, so you can hang a selection of your clothing from. 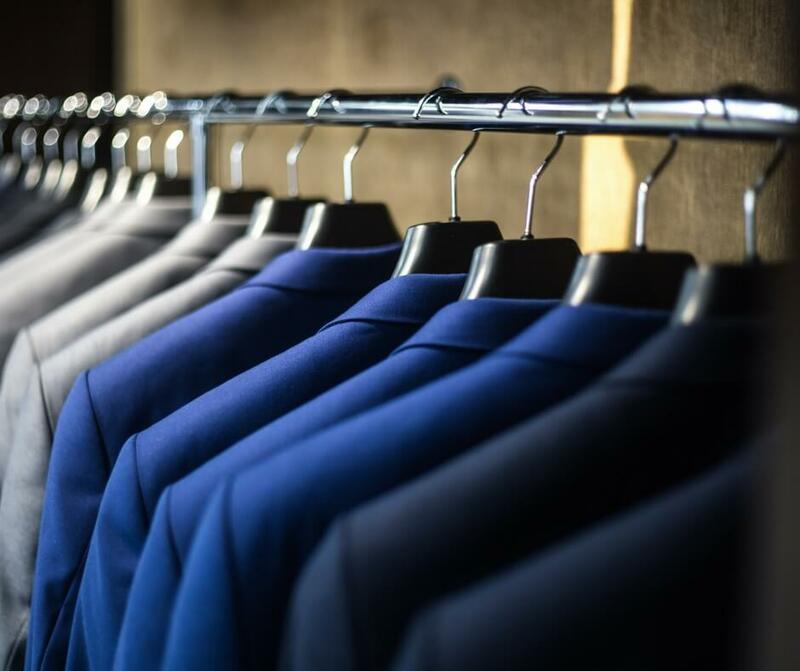 Don’t just opt for any old rack design, make sure to select a clothes rail that fits with the style and tone of the room. For instance, in a vintage-inspired space, a metal clothing rack would work well. Whereas, in a more modern space, a wooden or PVC clothes rail tends to look the part. Has the time come to update your bed and replace it with a new design? If the answer is yes, make sure to choose from beds with storage space. It’s all well and good shoving boxes under the bed. However, beds with storage design incorporated is always going to be a better option. The important thing is to select a bed that has adequate built-in storage space that is ideal for your storage needs. Do you want to optimise your bedroom storage solutions and make the most of the space you have? It is vital then, that you invest in drawer organisers. The fact is that without drawer organisers, drawers have a tendency to be overly messy. At the least they can easily get into a messy state. That’s why it is such a good idea to invest in drawer organisers and storage trays. Keeping your drawers in order is now that little bit easier. Making use of every inch of space in your bedroom is vital. When it comes to wardrobe storage space there’s often a lot of unused space. Which is why it is important to make sure that your wardrobe storage ideas are being effectively used. On the inside of your wardrobe doors, add hooks or bars to hang your shoes off of. That way, you will have no excuse to leave your shoes scattered around the room. A great way to add more storage space to your bedroom is to invest in multi functional pieces of furniture, such as ottoman storage. Ottoman storage is a great addition to any bedroom. It can act as a comfortable extra seat too, even a foot stall. The great thing about ottoman storage is the wide range of designs. From large ones to small ones, to bright colours and neutral colours. There are limitless options to choose from. Whatever the style of your bedroom, there is sure to be a design that is a good fit. For simple bedroom storage ideas utilise a magazine rack for tidying up magazines, comics and even books. 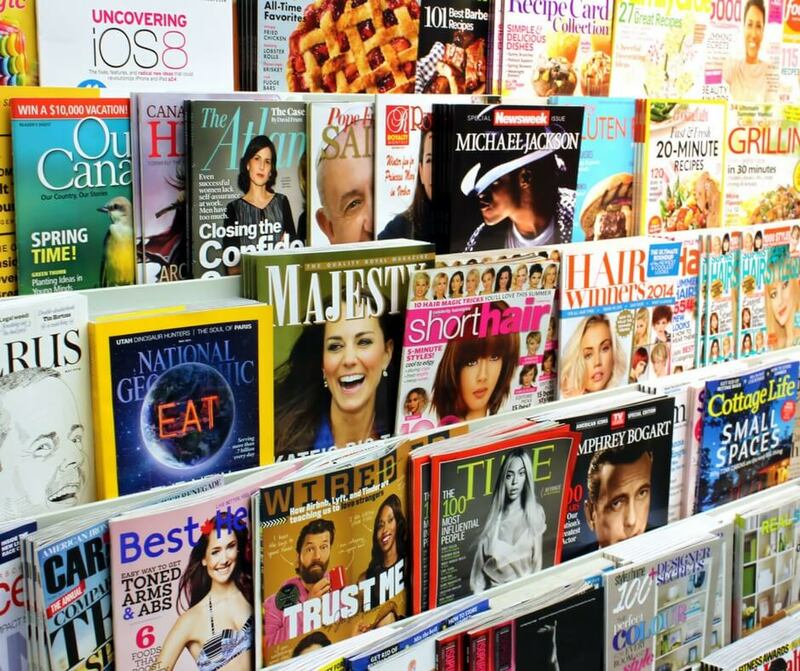 A magazine rack can be positioned in various ways to create a range of different shelving options. A magazine rack is affordable, easy to put up and takes up very little space but saves you loads. There you have it, our top seven different types of bedroom storage idea. These will give you a lot more space and remove any clutter from your life. Comment below with any other great ideas for creating more space and de-cluttering.